Looking back over my food blogs I realise I never write about savoury dishes. I think the main reason is I tend to be quite free with most of my ingredients (thus making it hard to write down how much I have used) and also whatever I make gets eaten right away, which doesn’t allow a big window for taking photos. Well I spotted these graffiti aubergines the other day and thought they looked pretty cool. So I have made an extra effort to take some photos of this dish (which didn’t last long after the photo was taken)! Graffiti aubergine- too pretty to eat? Pre heat the grill to medium. 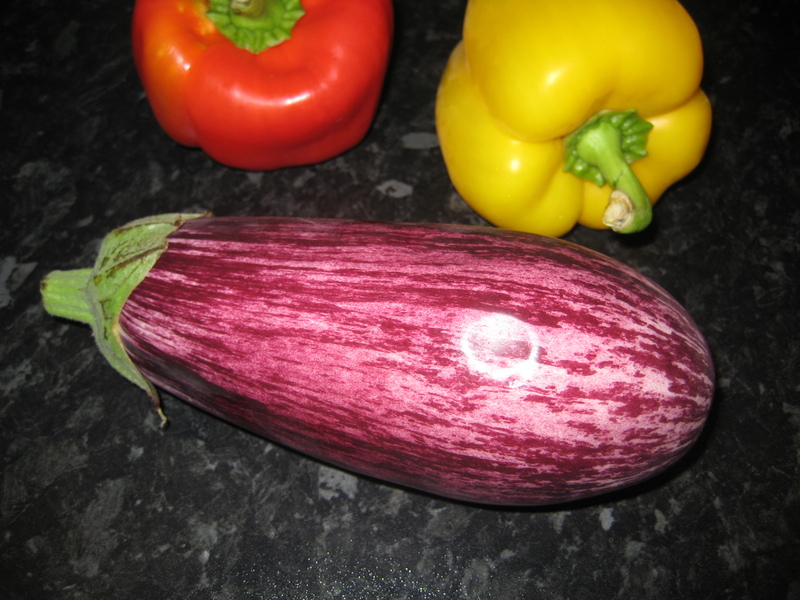 Cut the aubergine in half lengthways and slice a diamond pattern into the flesh, not piercing the skin. Put onto a baking tray with the peppers and drizzle with olive oil. Grill for 10-15 minutes until the peppers are cooked and remove them from the tin. Return the aubergine to the grill for another 5-10mins until cooked. Meanwhile make the couscous to the packet instructions and add the harissa paste. Cut the goats cheese into two portions. When the aubergine is cooked, remove from the oven tray and scoop out the flesh. Chop up any chunks and also chop the peppers into smaller pieces, add to the couscous. 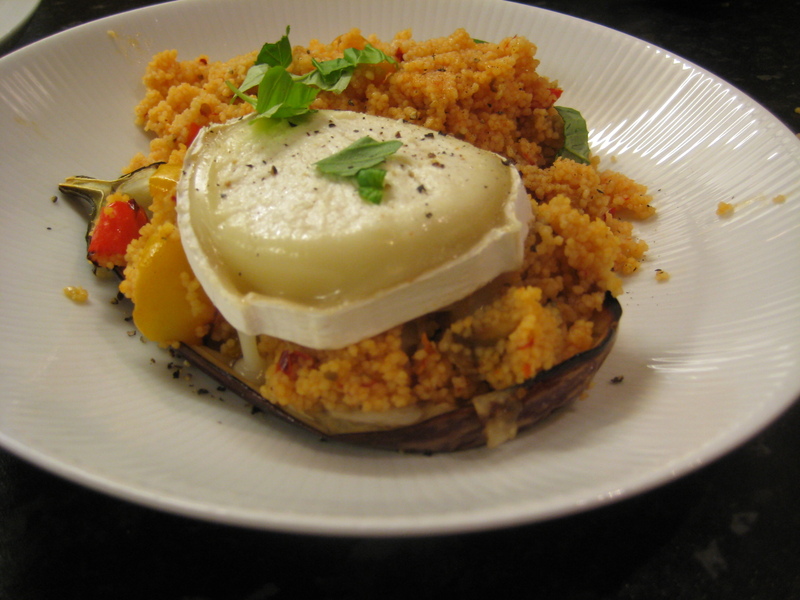 Return the aubergine shell to the baking tray and fill with the couscous mixture (there will be some left over). Top with the goats cheese and put back under the grill for 2-3 minutes until the cheese is melting. Plate up along with the left over couscous, and scatter basil leaves over the top. I like this dish because it is very easy and doesn’t have many ingredients. Plus it’s yummy!